In order to become a member of ALIGN, all you have to do is be a member of CARL. 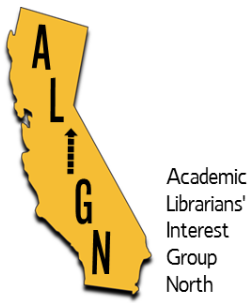 Any CARL member may become a member of ALIGN by indicating each year on the CARL application form that ALIGN membership is desired and paying the appropriate annual CARL dues. You do NOT have to pay any additional dues to be an ALIGN member. What's ALIGN been getting up to? See our Events page, and watch this space for forthcoming tours and workshops. All ALIGN members shall have the opportunity to subscribe to the ALIGN mailing list. This is where upcoming events, discussion topics, and occasional job ads are posted. Copyright © 2016 Academic Librarians' Interest Group North. All rights reserved.